It's getting so cold finally and one of the best things about winter is that you get to have big bowls of soup to keep yourself warm and cozy....one comfort food that comes in the healthy category. I know we have all kinds of ready to eat soups available these days and frankly, yes those are such a time saver...but they are no way better than ones made at home. 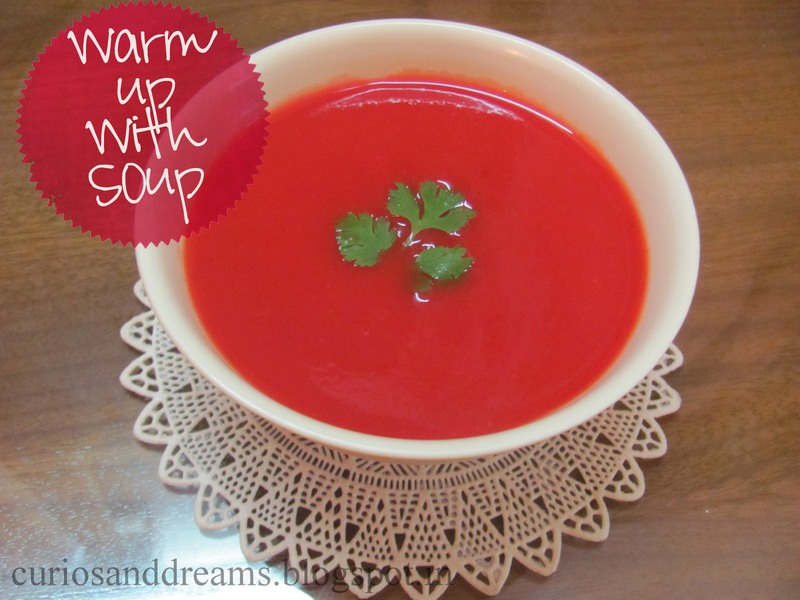 Here's a recipe for a classic tomato soup (there are lots of variations, but I like this the best) that won't take you long to make and will taste absolutely yummy despite being simple! In a pan/pressure cooker saute chopped onion until golden. Chop tomatoes, beetroot and carrot (you do not need fine chopping here. Beetroot gives the soup a great colour and taste and the carrot adds beautiful sweetness to the otherwise acidic tomato). 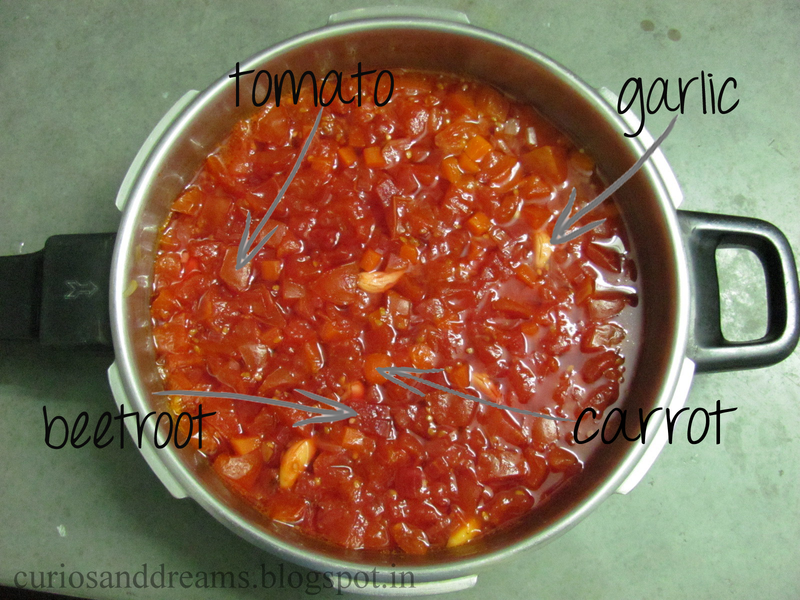 Put all the above ingredients (onion, tomato, carrot and beetroot) in a pressure cooker with water and salt (according to your taste). Boil until 2 whistles and then take it off heat. Let it cool considerably and then grind the mixture to a fine paste. Strain the paste to make it finer and smooth. Enjoy your hot bowl of soup and welcome the cold season! !